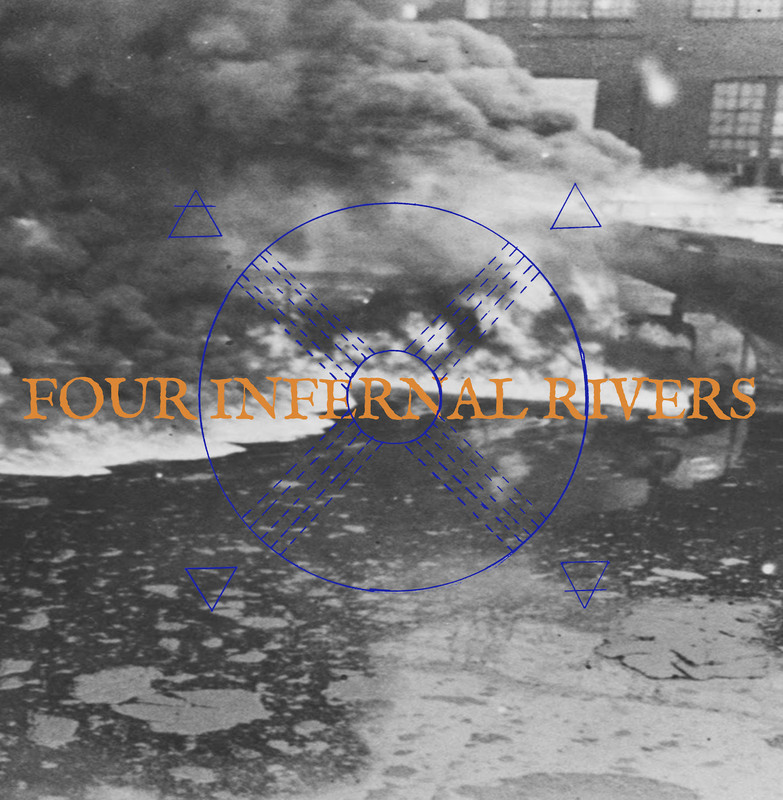 Tom Carter and Pat Murano, two figures with decades of history behind them, offer Four Infernal Rivers, their new double long player. 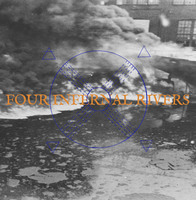 Four Infernal Rivers illuminates their interlocking styles in a light that blurs their individual identities. The music breathes its own life, and consistently eschews the normal meanings of its own potential descriptors. To think and act intuitively across 80 minutes in real time, without falling into boring or wasteful modes, should be taken as a remarkable accomplishment. The album title is as descriptive as it is suggestive. “Four” is the number of tracks. Easy. “Infernal.” It’s a harder one to parse out, harder still to live up to, yet the record’s hellish qualities come from the fact that it seems like it could never end. Its fiendishness stems from a tone which is consistently ominous and ever-portending. “Rivers” is spot-on. Close your eyes, draw up an image of a river, and the music pulls instantly into focus. It’s not so much a soundtrack to a film or a scene, but rather an auditory evocation of something that is ever-present. To invoke water is to invoke the most crucial ingredient of life (insofar as we describe it) on this planet. A river is one and many things, an aspect of a system larger than itself, full of majesty and terror. One need only think of the rivers of Herzog’s Aguirre or Fitzcarraldo, of Conrad’s Heart of Darkness or Ballard’s The Day of Creation, to understand the gist of what is being presented. The rivers forged by the duo are menacing and imposing, full of risk and danger. In an age when the entire aim of underground artists seems so geared towards either mimicking or revolting directly against the tides of mainstream culture, it is nigh-impossible to know where to turn. If this record has anything to say about it, it might be that the most valid instances of possibility are to be found in adhering to no preconceived method, in swimming with a current of one’s own making. It sways between an understanding of musical history and a disregard for its confines. There is interplay that doesn’t apologize for or attempt to live up to anything. It is music born of elements that have always existed and still cannot be grasped. Both spacious and immediate, moments exist either to be seized or to be let go. What might in another setting play out as a tension between dissonance and melody here lives entirely outside of those concerns. There is comfort and compatibility in this music, a sense that neither player would ever step on the other’s toes, while still feeling the freedom to explore whichever tributary they might come across. Ideal traveling companions, then. “It’s after the end of the world, don’t you know that yet?” June Tyson asked long ago. Some of us do and some of us don’t. Those of us who aren’t quite sure make records like this. Pre-order now for 16th June. Gatefold 2LP in a edition of 500. Available digitally.